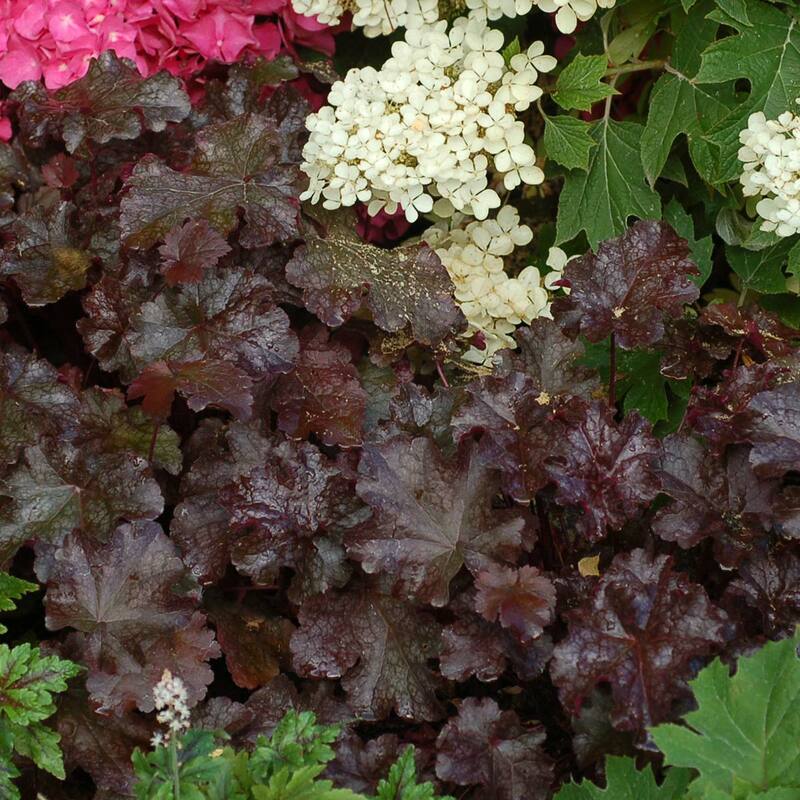 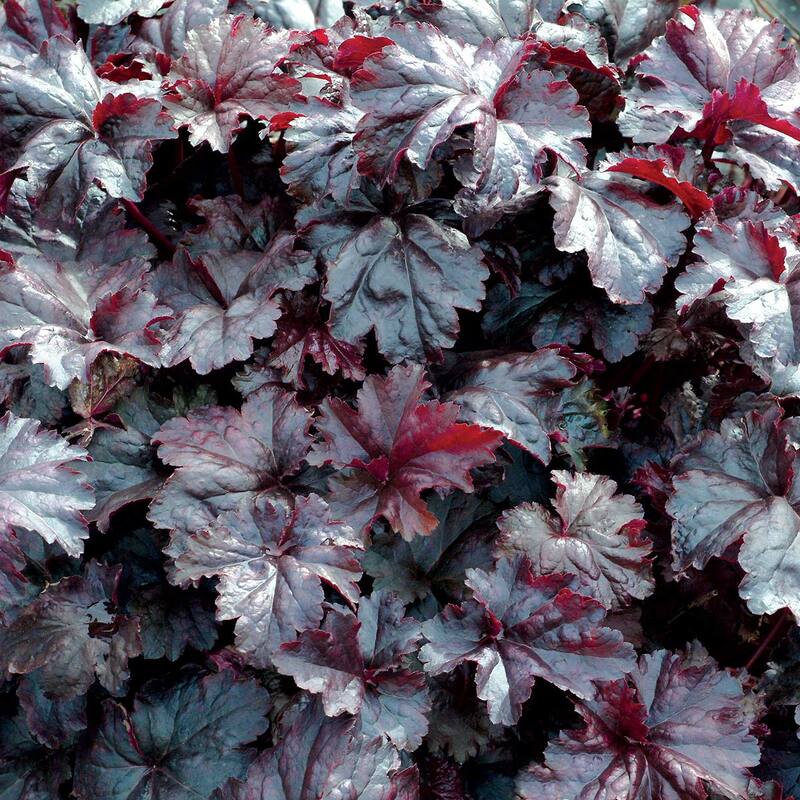 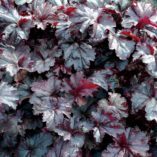 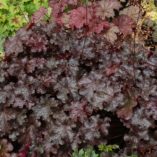 Heuchera ‘Licorice’ | TERRA NOVA® Nurseries, Inc.
Big landscape plant with very shiny, very dark leaves. 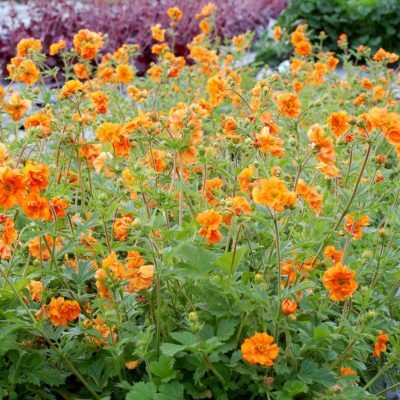 Especially lovely in spring. 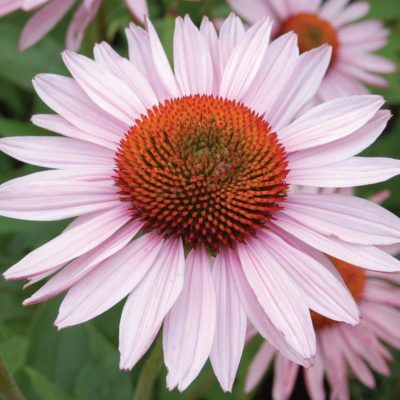 White flowers on tall spikes. 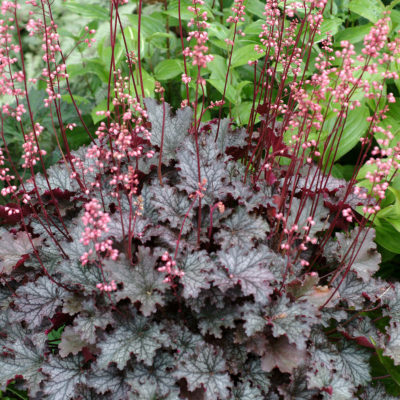 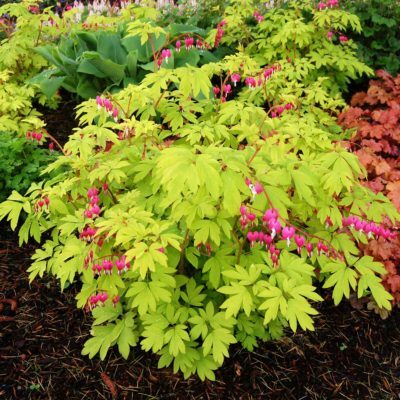 10" / 18" / 24"
DOLCE® Heuchera Series (which includes the following TERRA NOVA® Plants: Crème Brulee, Key Lime Pie, Licorice, and Peach Melba) won 29 awards according to Proven Winners. 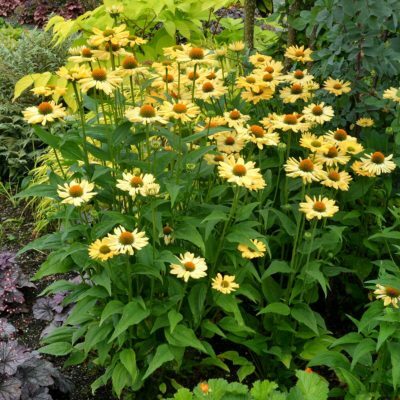 Including: Top Performer, Mississippi State; Excellent Rating, Boerner Botanical Garden, Milwaukee, Wisconsin; Gardener's Choice, National Arboretum; Top Performer, Ohio State in 2009.